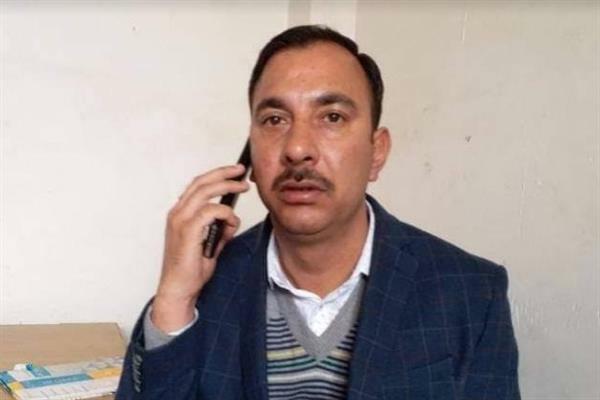 Srinagar, Feb 11 (KNS): With Assembly elections just months away, the Congress party in Bandipora constituency suffered a massive setback today as senior leader and a close aide of senior Congress leader and former MLA Bandipora Usman Majid resigned from the basic membership of party here on Monday. Naseer Ahmad Mir, a close aide of former MLA Bandipora, who is also the president of Contractors Association, Bandipora informed that he has resigned from the basic membership of party. He said that, I hereby inform people of Bandipora that I have resigned from the basic membership of Indian National Congress. He said that I feel that it is neither morally nor ethically right for me to continue as a member of Congress Party. He said that I am not associated with any political party as of now, added that I am free to take my own decisions. “Since long I have been watching Bandipora being exploited and neglected at all fronts, but I think it should be checked hereafter, no more we are ready to accept it. In this regard I wish to share my plan with people very soon,” he added.